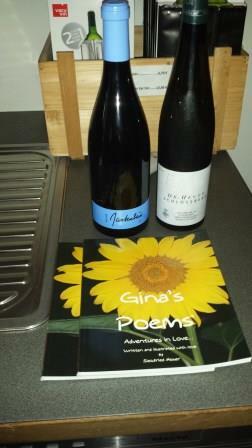 Gina’s Poems explore love, doubt, fear, hope, elation, belief, faith and knowing; the result of three years of Siegfried Heger writing a poem to his wife almost every day, and illustrating each with a picture. 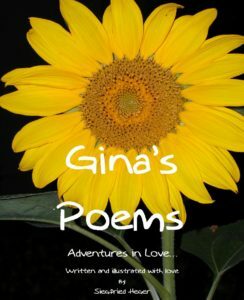 Gina’s Poems captures the essence of their relationship and journey through life in Los Angeles, touching their innermost thoughts and feelings. Heger leads off by establishing the notion that we have already found “The Beach” however, because we are so busy looking for it, we cannot see it right in front of us. “Love is Giving” sends the message that we will receive what we give. If we want to be loved we have to love, if we want to receive a hug, we have to hug, if we want to have good friends we have to be a good friend. Set to a vibrant picture of a sunflower, the image and message has substance and beauty. “Your Fellow Men” tells of our fear to connect to each other. “Let them touch you, not just see you, let them in you without warning” is about openness, receptiveness and disconnectedness to all the other beings in this world. Born in 1954, in Germany, Siegfried Heger has lived in the USA since 1985. He is a Mechanical Engineer who started writing poems in the 80s (in German) during a stay in Paris, France. Siegfried lives with his wife Gina and his son Andreas in Long Beach, California.